Several weeks back Ron at Pen Chalet reached out and offered to send me a pen from a new line out of Taiwan, “3952,” for which Pen Chalet is the exclusive U.S. distributor. As always, I quickly agreed, since I’m ever on the lookout for pens from brands that I’ve never tried - something that’s rare these days. 3952 is a division of BonArtek, a Taiwanese writing instrument manufacturer. 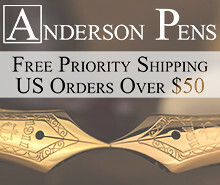 I have no prior experience with any pens by BonArtek, and to the best of my knowledge, until the release of the 3952 pens, they have not sold any pens under their own mark or the “3952” brand in North America or Europe. “3952” derives its name from the height of Mount Jade, the highest peak in Taiwan at 3952 meters high. The initial batch of 3952 pens includes three models: a rose wood pen with a metal cap, an abalone shell model, and the X800, which is a larger black and chrome metal pen featured here. 3952 has done a nice job with the presentation and packaging on the X800, which looks high end without appearing ostentatious or wasteful, and is appropriate to the price point of the pen. The pen itself definitely has that a certain “metal pen look”, which you either appreciate or you don’t. The barrel feels like coated brass with an engraved “twist” pattern, and features a smooth chrome section. My pen appears to be very well-machined, with none of the dings, chips, or manufacturing flaws that you see on cheaper metal pens. The smooth section itself is quite comfortable to grip and I haven’t had any issues with it becoming slippery. 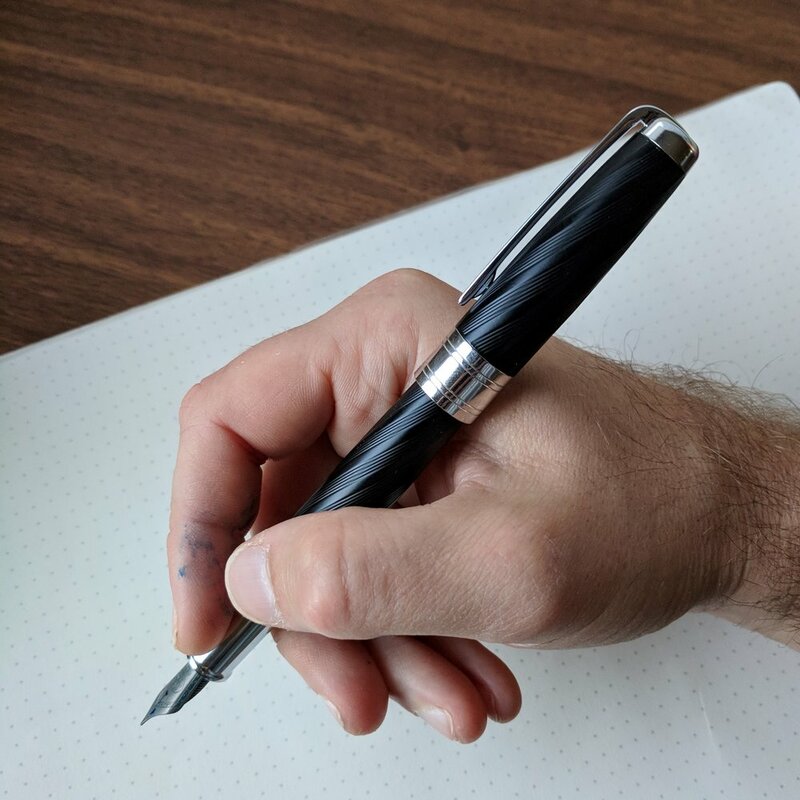 (As I think I noted in a previous review, one of the ways in which I’m trying to improve my handwriting and overall penmanship is by loosening my “death grip” on the pen. As a result, metal sections haven’t bothered me as much because my hand gets much less sweaty/oily, but I digress.) The pen does post, but the hefty metal cap will make this pen too unbalanced for most people, save those who have very large hands. While I prefer to be able to post my pens, the X800 has a nice balance to it unposted, with the metal section front-weighting the pen. My favorite feature of the X800 is the cap and magnetic closure. 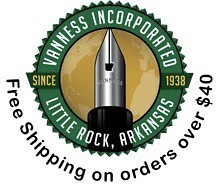 Many modern pens use either a threaded cap, which screws onto the barrel and takes time to deploy, or a friction-fit “snap” closure, which often utilizes a plastic inner cap that can loosen (or even crack) over time. 3952 has chosen to use a magnetic cap that closes very securely with a quarter twist. I also appreciate how the clip is incorporated into the overall design of the pen, similar to the Karas Kustoms Ink. 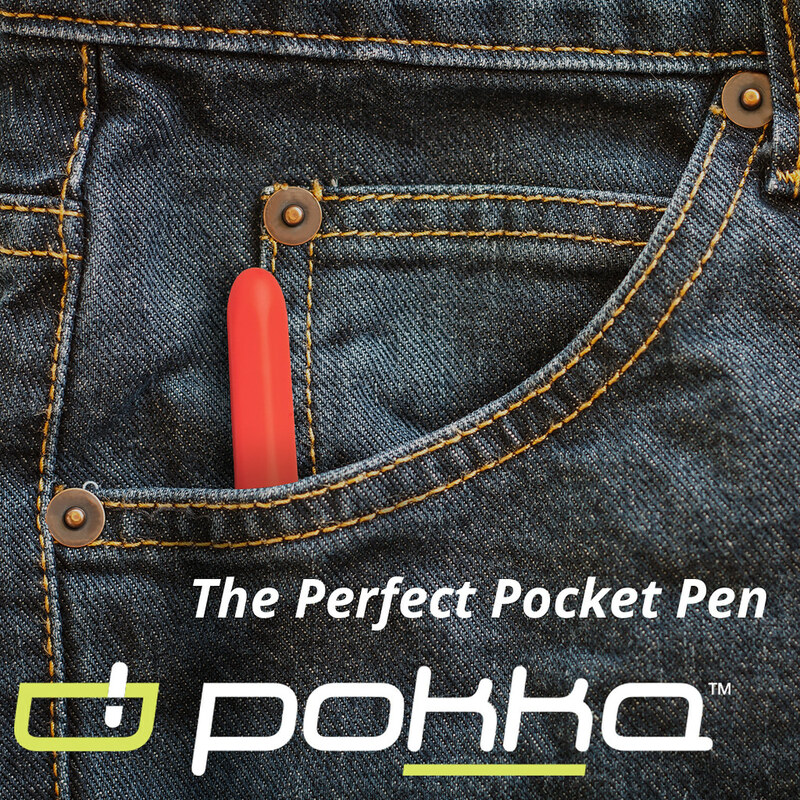 The clip itself is tight with very little wiggle, while still allowing you to slip the pen into a shirt pocket or clip it to a pen sleeve in a bag. 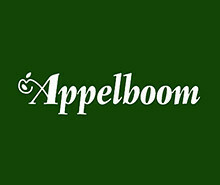 The clip is integrated into the design of the cap. It's not coming loose anytime soon. 3952 Pens use a cartridge/converter filling system with stainless steel Bock nibs, which are generally smooth and reliable, but they won’t show you much in the way of line variation or overall “character.” I personally tend to find steel Bock nibs slightly dry. This one was no exception, though skips or hard starts were rare, coming mainly after I had left the pen sitting for over a week. Factory standard medium nib and section. If you look closely, you can see how 3952 incorporated a curved metal "lip" at the base of the section, which serves as the "threading" for the twist closure. Out of curiosity, I pulled the stainless nib and swapped in a Bock titanium nib and feed from another pen, which worked perfectly and now this pen is what I would call an insanely good writer. This, of course, is entirely a matter of personal preference, since I prefer more ink on the page than most steel nibs offer "out of the box" and lean towards moderately wet gold nibs for most of my writing. (I typically modify my steel nibs to write wetter than the “factory setting.”) Though 3952 does not offer nib upgrades (at least not yet), you can pull the nib from the X800 and swap in another Bock nib and feed "borrowed" from another pen or purchased separately from a source like fpnibs.com. If you want to swap a Titanium nib into this pen, you probably will want to use the feed that came with the Ti nib unit, since Titanium nibs generally have heavier flow and the feed channels are cut differently. 3952 makes a solid fountain pen. 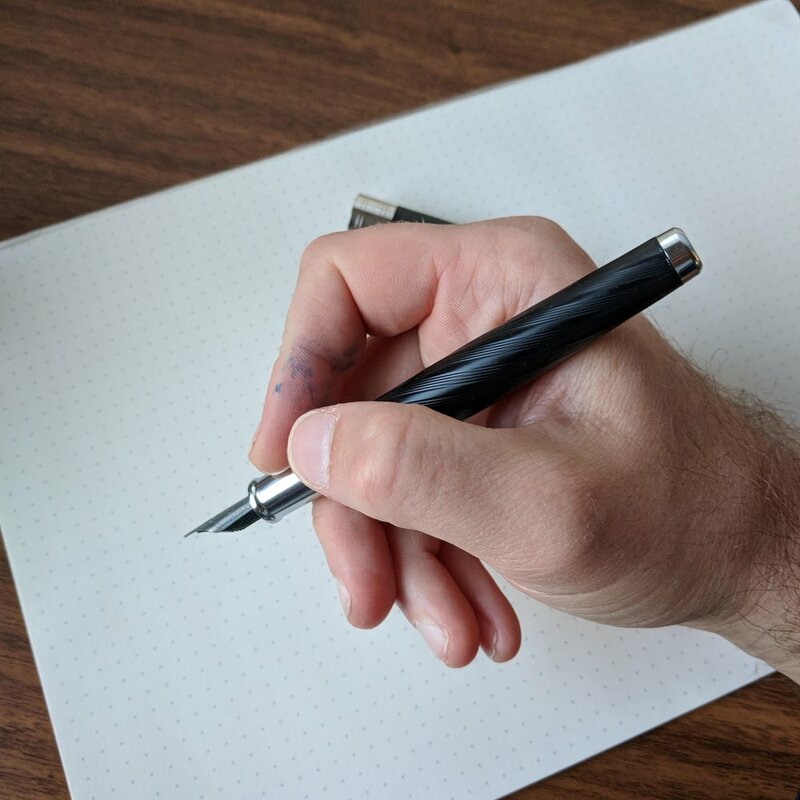 The X800 is a comfortable, well-balanced writer with a reliable German stainless steel nib from a reputable manufacturer. The magnetic twist closure on the X800 is probably the trait that most distinguishes the pen from its competition, and one I wish that other pen companies would incorporate, given that slip caps tend to loosen and/or crack over time. 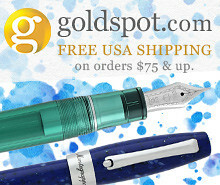 As I mentioned above, through the end of the year you can purchase 3952 fountain pens from Pen Chalet as the exclusive U.S. distributor. 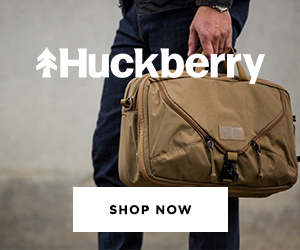 The MSRP on the 3952 X800 is $187. Street price, after incorporating standard discounts/coupon codes, is around $135, which places the X800 in the same price bracket as brands such as Faber-Castell, Diplomat, and Otto Hutt. One pen that the X800 might be comparable to is the Diplomat Excellence. Diplomat pens use JoWo nibs, and the 3952 pens use Bock. JoWo and Bock both make a good nib, but they do have a different feel to them, with Bock nibs typically writing slightly drier out of the box, in my experience. 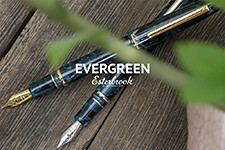 While the X800 holds its own in terms of quality, I suspect that 3952 may gain the most traction with their other offerings such as the Rose Wood and Abalone Shell fountain pens, which are somewhat unique designs at this price point and have received good reviews. 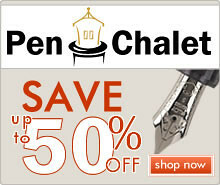 Disclaimer: The pen featured in this review was sent to me by Pen Chalet for review purposes, free of charge. This post contains affiliate links.